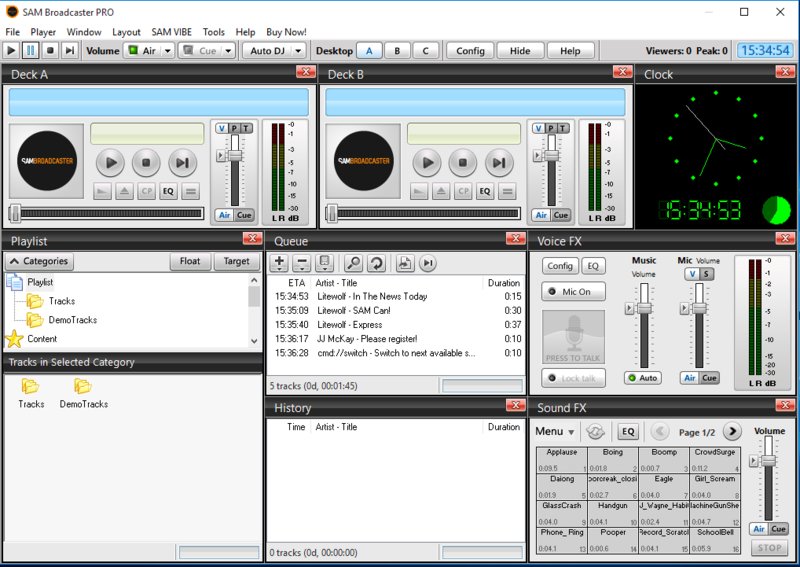 SAM Broadcaster is inevitably the best radio broadcasting software on the market. If you are a PC user, this is the software you need to get started. 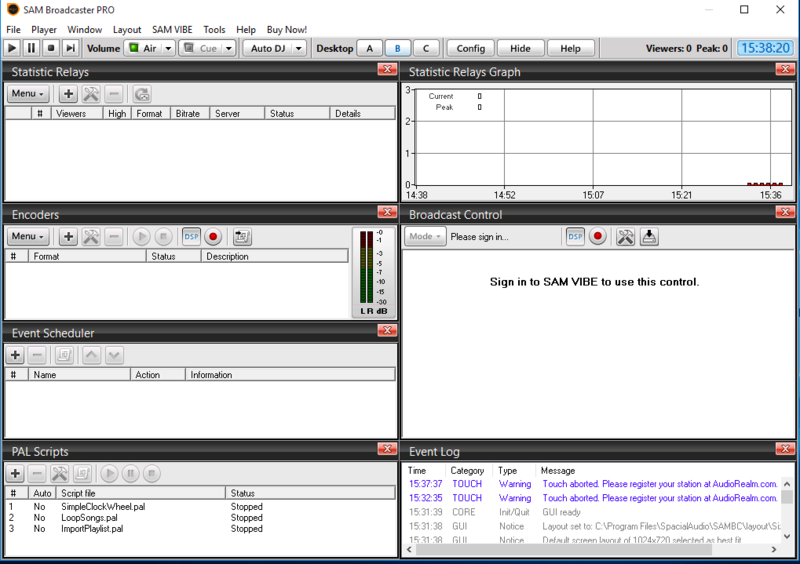 You can also try SAM Broadcaster for free for two weeks. Let&apos;s get started. 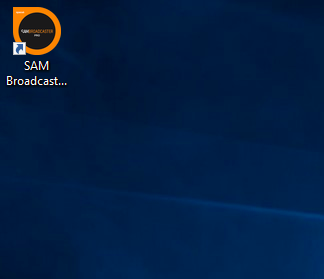 After installing SAM Broadcaster Pro on your computer, the software icon will appear on your screen like shown below. Double-click to launch the program. This window should now appear. Now we are going to set the encoder for the live broadcast. For this go to the "B" window as illustrated below. Now we are going to set the encoder to connect to the streaming server. For this click on the "+" Button to add an encoder. A new window with a selection of encoders will appear. 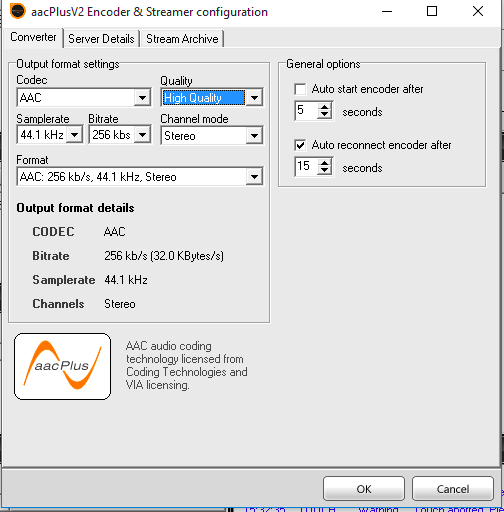 Depending on your streaming plan you will have to select the appropriate encoder. 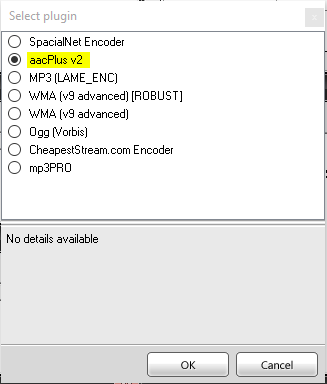 With Wohooo Networks we support both AAC and MP3. 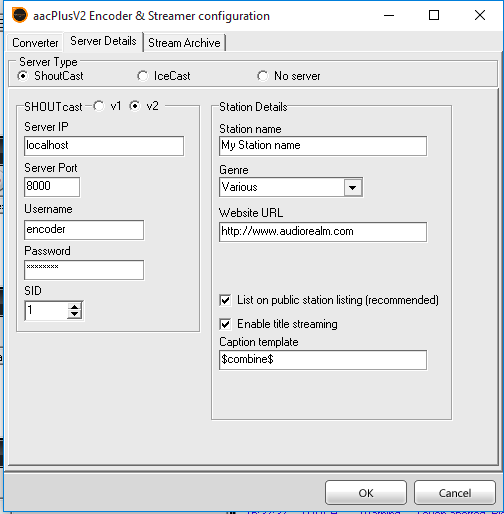 For your Radiocast.in plan select aacPlus V2. Inside the encoder details, you will have to input the correct settings. For Radiocast.in insert the above information. When you are done, go to the server details tab. Here you select the server type and version ( Wohooo & Radiocast.in plans are set up with ShoutCast V2 ). Server Port: Check your email for server port or to "quick links" in Centova Cast. Username: This information has been sent by email. Password: This information has been sent by email. On the right section, you can include your station details like name, genre, and URL. When you are done click on "OK" and your encoder is now set. You are now ready to do a live broadcast. To connect your encoder click on the "Play" button. A message will then be shown if you are connected to the server. If you are having any issues don&apos;t hesitate to contact us by opening a ticket or leaving a message.